For many of us, a new year does not necessarily mean “new me”. New Years resolutions are not about changing your entire lifestyle, but about making changes in your life that will have a positive impact. Mornings are the most important part of the day, but sadly as university students, we tend to skip out on this and go on with our lives. There are a few ways we can adjust our mornings in order to make this year a strong one. 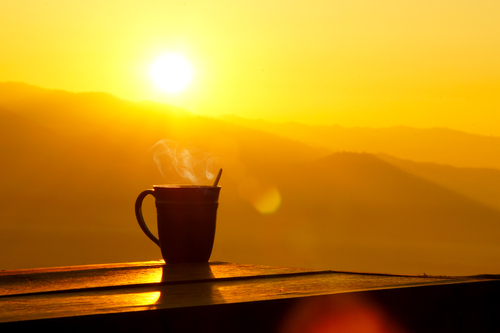 Here are some ways to improve your mornings so that you have an amazing day! A lot of us tend to run out of the house without making our bed because we’re running late. But, making your bed is the first step to having a great and productive day. Once you have made your bed, it’s almost like the first task of many is crossed off the list. Breakfast is probably the one thing that university students all equally miss out on. More often than not, we are running late for class, so we rush and leave the house without eating. Having breakfast, even a small one, can make the biggest difference in your day! You will be energized and ready for the day. Some ideas for a quick and easy breakfast include: overnight oats, toast and fruit, scrambled eggs or fruit and yogurt. Really the possibilities are endless! If you wake up and have a bit of time to spare, writing in a journal can be extremely good for your mental health and self-care. Journaling gives you an opportunity to reflect on what has been happening in your life, but can also be your emotional dumping ground. University gets really difficult and stressful, and sometimes you are the only person who can help yourself. Writing a little bit in a journal, every morning, will give you another positive start to your day. If you’re looking to find a nice journal, Chapters sells some beautiful ones, and a lot are on sale right now! Starting your morning off right is extremely important for your mental and physical health. Make it one of your 2019 resolutions to try out a new morning routine, so that your days become better and more productive!